Police are searching for a man they say went missing the Del Mar area Saturday afternoon. SAN DIEGO (KGTV) -- Police say a man who went missing in the Del Mar area Saturday afternoon has been found. 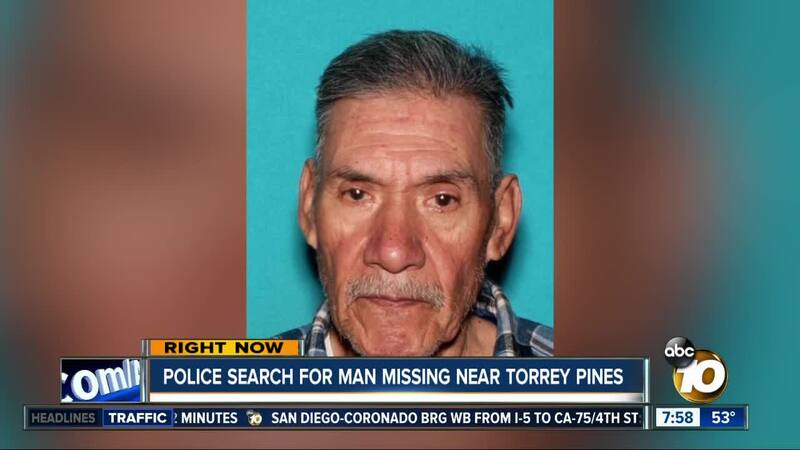 According to San Diego Police, 76-year-old Ignacio Herrera went missing from the 3800 block of Pell Place around 2 p.m. on Saturday. Herrera has dementia and speaks limited English. “He had no regular destinations but walked with his family in the Del Mar Highlands Town Center area,” police added. Around 6 p.m. Sunday evening, police sent an email saying that "Mr. Herrera has been located and returned home safe and sound."